Electrotherapy is a form of physical therapy treatment when electrical stimulation is applied to nerves and muscle-motor fibers through electro-pads placed on the skin. There are a few types of electrotherapeutic devices used by rehabilitation clinics, with T.E.N.S. (Transcutaneous Electrical Nerve Stimulation) being the most popular. These treatments block the transmission of pain signals along the nerves. In addition to this electrical stimulation promotes the release of endorphins, which are natural painkillers in the body. 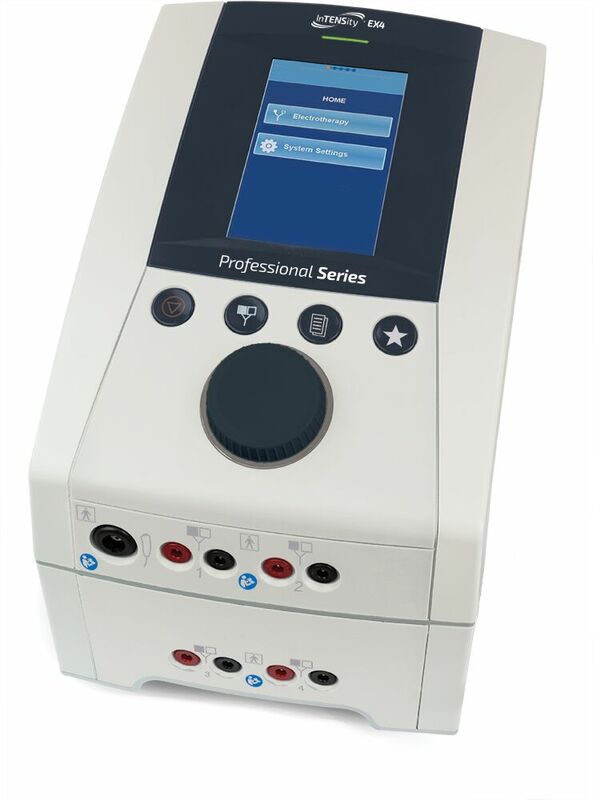 Our Electrotherapy products can increase blood circulation, stimulate muscles, and relieve pressure for rapid healing and better patient outcomes. The Intelect Legend XT laser module offers independent control over parameters. Includes protective eyewear (2x). Does not include laser applicator. The Intelect Legend XT battery module automatically charges when the base unit is plugged in. A therapy system cart for Intelect mobile therapy units.